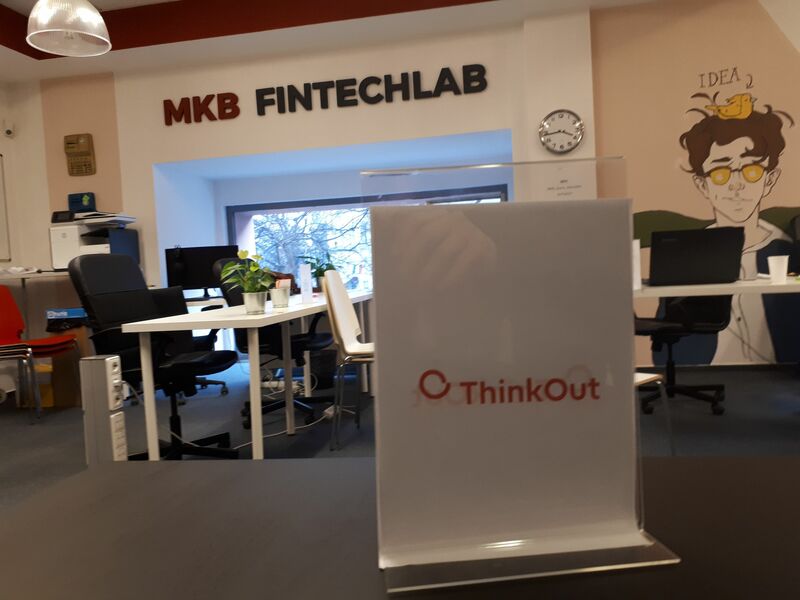 This February, ThinkOut hopped onto the acceleration program run by MKB Fintechlab. We moved to Budapest along with 7 other startups from Romania, Hungary, Poland, Slovenia and Slovakia to go through 12 weeks of mentoring, planning and achieving KPIs, exchanging ideas and experiences. How does the startup life look like from this fast moving vehicle that is an acceleration program, hundreds of miles away from home? It looks exhilarating, colorful, filled with open roads pointing to such a vast horizon, that eyes alone cannot measure it. Another way some look at an accelerator is as a magic box, where you put a seed so that the minute after, you open the box only to find a nicely grown, blossomed plant. In reality, there is no magic in it, but a fertile soil with all the ingredients you need to grow that seed steadily and naturally (I liked this metaphor used by Connor Forrest in his article from the Tech Republic). For us, it’s the cool car that takes us all on the road trip of our startup life. We’ve already covered half of the road and, with each extra mile, it becomes clearer how this experience at the MKB Fintechlab shapes us as a startup. This journey gave us the chance to meet other fellow entrepreneurs; great, skilled, enthusiastic people from whom we get to learn something new every day. I am not talking only about technical things, but also about their cultures and way of relating to life, their visions. Very importantly, we also learned how to motivate each other, gather the energy to carry on and that we are not alone in this endeavor. Each of the founders has a story about their entrepreneurial experience, but mostly about life. These are things that no workshop or article can fully describe; this kind of stories you can only pick over a cup of hot tea, lunch or in those moments of complete frustration when you wonder “where to?”. Simply put, the growth hacking concept means that 80% of the traffic should come from 20% of the channels. In other words, you need to build the marketing strategy around those channels where most of your audience is and give such a convincing incentive that they cannot refuse. We’re talking about finding the way to make the most out of the distribution channels opportunities. Beyond some practical means (keywords research on competition, calling clients around deadlines when they need your product etc. ), it’s always a matter of “product/market fit”. As Mark Andreessen has put it, it means ”being in a good market with a product that can satisfy that market”. What is a good market? This is a story for another time and it has to do with its size, growth potential, entry barriers, financial capacity and many more. Beyond the technical details, the key takeaway was that we need to always place ourselves in the shoes of the user. It is a common sense rule, but you don’t fully understand what it means until you get to see what a great difference is made by a button, piece of text or extended menu, for instance. In developing our digital products, we are all prone to fall into our own trap by assuming that the clients know what we know. We often tend to take for granted that what is clear to us is equally clear to them. And it’s not. Of course, it is far from easy to imagine what an “outside person” understands. This is exactly why we need to go and talk to our customers directly, listen to them, observe, take notes. Surely we didn’t need an acceleration program to teach us that. Still, within these weeks it became clearer just by noticing the many perspectives out there and how important it is to shift our mindset away from what we believed we knew. In our offices, our eyes only see the product we build, the lines of code, content, design, statistics. The moment we embarked on this accelerator journey we began to see more: a variety of shapes and destinations unrolling before us, just like looking through the window of a fast car. We got to meet the other travelers who brought in their own stories and our eyes opened wider. Experiences like this make it obvious that we are part of a diverse world, filled with open roads and paths to follow. The beauty of it is that we come to realize that everything is connected, be it large banks, experienced investors or startups that are just starting. We all head towards the same destination. Even though it’s still not clear who and where will be exactly, we already get the picture of everybody meeting at the destination, like in a festival where we all bring what we have best for the XXIst century people: financial products and services that are smart, efficient and make their lives better. So how does the startup life look like from this fast moving vehicle that is an acceleration program, miles away from home? It looks exhilarating, colorful, filled with open roads towards such a vast horizon, that eyes alone cannot measure it and a destination that we cannot wait to discover. Until then, we just enjoy the road trip, the amazing people alongside us and the life experience.